Place apple meat in a large bowl. Combine sugars, spices and salt in a crock pot. Turn to high for 1 hour. Stir in as many apples that will fit. Reduce setting to the low setting and cook 8-10 hours, stirring occasionally. After 8-10 hours apples will have cooked down considerably. Add remaining apples, stir and cook an additional 8-10 hours. Processes butter in a food processor. 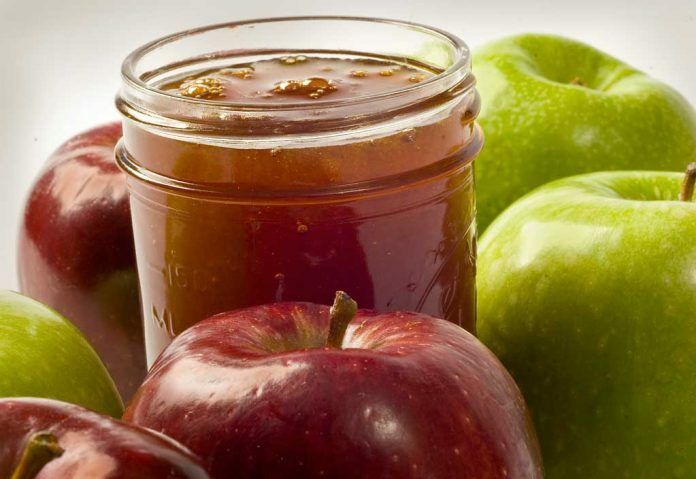 Fill jars and process jars in accordance with safe canning guidelines.